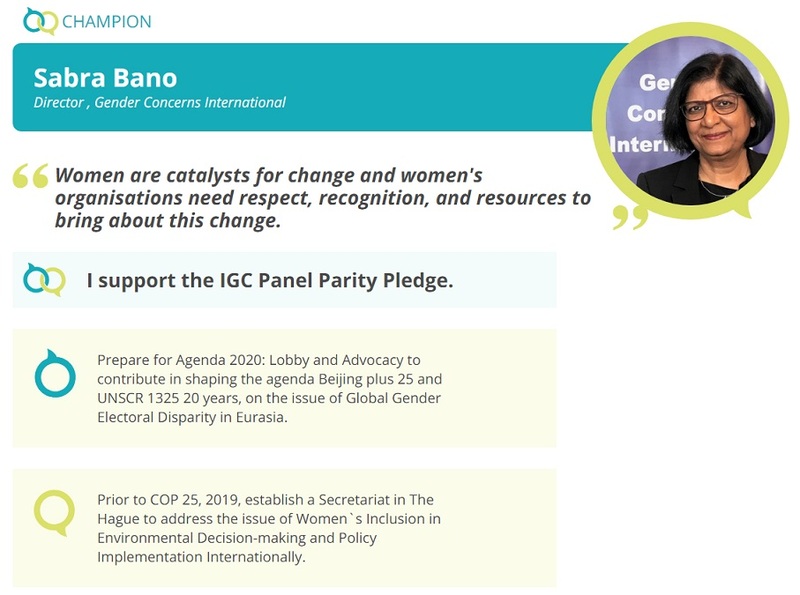 Director Ms. Sabra Bano Welcomed As International Gender Champion and joins the International Gender Champions Network! We are delighted to share that the Director Gender Concerns International Sabra Bano, has been nominated as International Gender Champion. towards narrowing the Gender-Gap by 2030.